I joined The Southend West SSP in January 2008 as Partnership Development Manager with the remit of building and developing a sustainable high quality partnership based upon the foundations of quality Physical Education at the Primary level. I started teaching in Leicester and have taught at various types of schools throughout the country. My development and progression into partnership work started when I took up the role as an SSCo in the Basildon SSP before moving onto the Thurrock SSP to work as a Full time SSCo. These experiences enabled me to take on the role as PDM and understand partnerships from the many different angles. I attended Loughborough University and gained a 2:1 BSc. (hons.) in Sport Science and Management. 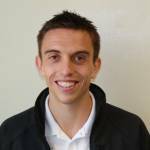 I continued to study at Loughborough and qualified as a PE teacher by gaining my PGCE in Physical Education. Currently I am on a break from studying for my Masters Degree in Education. My personal background in Sport is primarily in Athletics, where I am a dedicated middle distance athlete. I train twice a day and have, in the past competed at a high level. Before this, I was a very keen football player. I enjoy all sports and still find time to play golf and give the odd PE teacher a table tennis lesson too!